I haven’t been to Berlin’s Treptower Park for more than 20 years. I used to live in the east part of Berlin until December 1989, the year the wall came down and again from 1992 to 1997 in the then already re-united city. When I visited Berlin for an university alumni event again, I took the chance to visit places I haven’t seen in such a long time. The soviet monument for the victims of WWII was one of these places and I wanted to check how the place looked like after 25 years of re-unification of Germany. Honestly, I didn’t remember it being so large and somehow grande demonstrating the power of the Soviet union after WWII. After entering the park, I heard loud music and saw the lights of a Mercedes sports car. Getting closer I realized that a group of people were filming a music video. Other people visiting didn’t seem to care and I didn’t dare to ask. 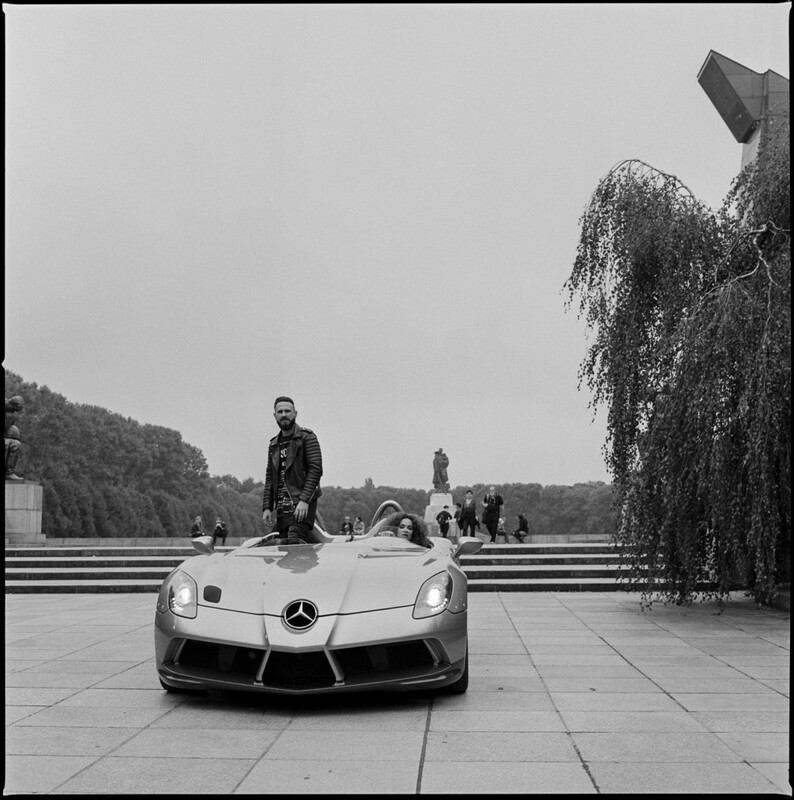 I shot some photos putting me and my hasselblad right in front of the car which the crew didn’t like much since I simply was in the way. I watched them for a while, took some more images that didn’t come out and left without knowing who I took pictures off. At home, the mystery was solved: The rapper was Michael Schindler a.k.a. Shindy.